Who doesn’t love the idea of working anytime, anywhere, and anyplace? Living out of an RV provides you with the freedom you’ve never had at a standard 9-5 job. There is no need to settle with a cubicle, the world is your playground and an RV is your chariot. In this day and age, everything is accessible online. Remote workers are quickly increasing in popularity, as they are flexible, accountable and productive. An RV offers everything you would need in a traditional office while letting the employee work wherever and however they see fit. Living out of an RV provides a working citizen the freedom they often crave from a traditional workplace. It’s the best way to spontaneously see new places, try new hobbies, and meet interesting people. When transitioning to living out of an RV, your expenses will change. You will no longer be paying a mortgage or monthly rent. You will pay for campground fees, vehicle maintenance/repair fees, and gas. Although these fees may seem exceptionally less than a traditional home, they will still add up. Living out of an RV isn’t free but it can be more cost-effective with a budget. Set up a monthly budget. First starting with all the costs relating to the RV and then personal spending such as food, Wi-Fi, etc. Once you have your costs down, you’ll know exactly how much you have to work with. As a nomad, it is easy to get wrapped up in your work and forget to take a break. Being in an RV provides the perfect excuse to get some fresh air and reboot before heading back to work. There is no better place to be one with nature than out in the open water, listening to all the wildlife, and the breeze surrounding you. Fishing is a calming activity that helps you forget the stress and be in the moment. Anyone can learn and it is a fantastic hobby to pick up as an RV’ing nomad. Whether you are living out of an RV alone or with someone else, it’s important to get out and continue being social. 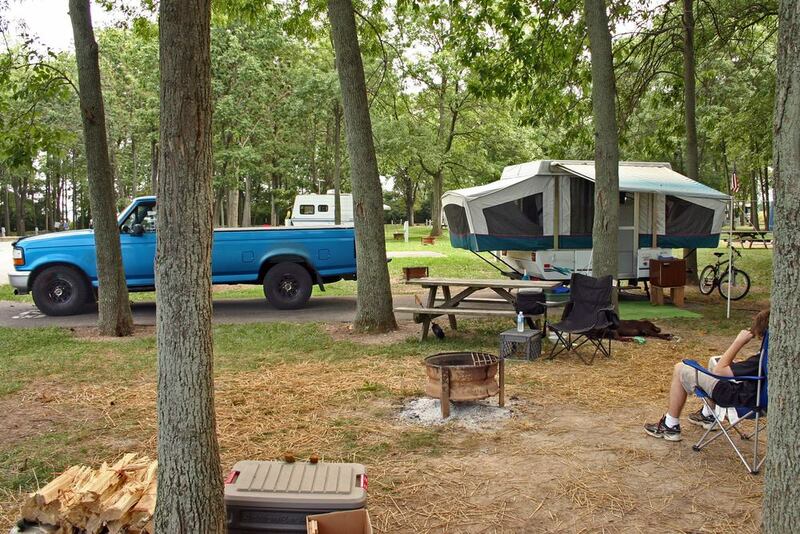 The wilderness is a wonderful way to get away and meet all kinds of travelers at various RV campgrounds. The RV’ing community is extremely diverse from families to young adults in there 20’s. There is not just one person who commonly lives in an RV making the people you meet all different and interesting. You could also join an online nomad group where they are likely to conduct meetups in local cafés or co-working spaces. They will relate to a lot of the same issues that you face as a nomad or may be living out of an RV as well. You don’t need any prior experience to commit to full-time RV’ing. It is common for first-timers to rent their first RV before buying to get a feel for the experience. Many take the opportunity to get rid of excess personal belongings and earn some extra cash for their things. All you really need when it comes to operating the RV is the vehicle itself and the correct driver’s license. Check with your state on whether you need a specialized license, otherwise, a standard one may be sufficient. It may be a good idea to invest in a GPS and other safety items such as fire extinguisher, CO detector, and smoke detector. This will ensure that you have directions and are prepared in case of an emergency. As an RV living nomad, you will no longer be faced with traffic and long meetings. It will most likely be you, your computer, and the freedom to make anything your backdrop. There are a few options for Wi-Fi. Campgrounds offer it for free but it is slow and capped. Another option is to park your RV outside of a major city. In most cases, you will still be in the wilderness but close enough to walk or catch public transport to a cafe or library. If you plan on RV’ing long term, you should consider investing in a hot spot or satellite. For additional security, definitely use a VPN to protect private company information.